Railpictures.ca - Doug Page Photo: While some trains in 1968 did not show any signs of the PC merger, others were mixing equipment from both roads. In this case, we have NYC E8A 4094 leading PRR sister 4288 on a smallish mail and express train. | Railpictures.ca – Canadian Railway Photography – photographie ferroviaire Canadienne. 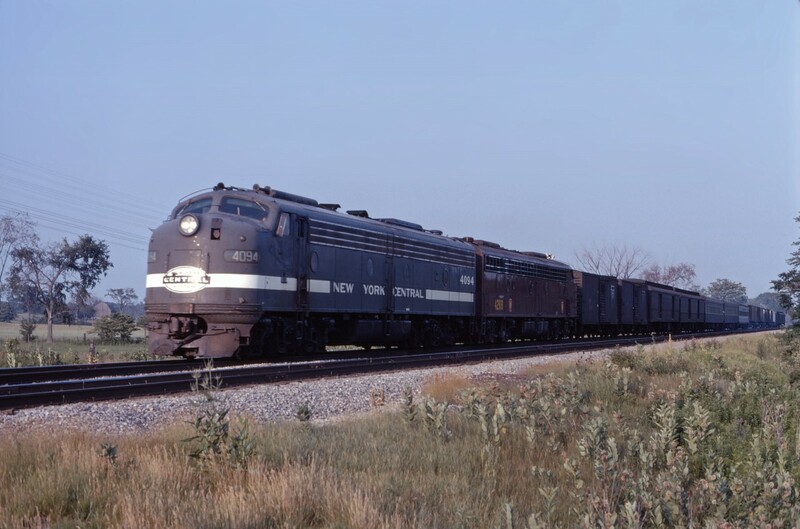 Caption: While some trains in 1968 did not show any signs of the PC merger, others were mixing equipment from both roads. In this case, we have NYC E8A 4094 leading PRR sister 4288 on a smallish mail and express train.